Terry McAuliffe is taking one last shot at Medicaid expansion. The outgoing governor included Medicaid expansion in his final state budget blueprint, with a proviso that the state would accept federal money, which Republicans have resisted doing on three different occasions. McAuliffe, a Democrat, offered a carrot to the GOP in his budget proposal, presented to state lawmakers on Monday, in the form of including full funding for the state’s rainy-day fund in his $114.9 billion, two-year budget. The budget includes $1.7 billion in proposed new spending, with $400 million coming from the federal government to support the expansion of the Medicaid system in Virginia. More than 400,000 working Virginians who can’t afford health insurance also don’t qualify for Medicaid under the state’s current eligibility formulas. “I’ve fought to expand coverage to these Virginians every year for four straight years. As you know, that effort has repeatedly failed in the General Assembly, leaving hundreds of thousands of our friends and neighbors without access to basic care. We’ve filled that gap the best we could through my Governor’s Access Program and other measures to meet these needs. 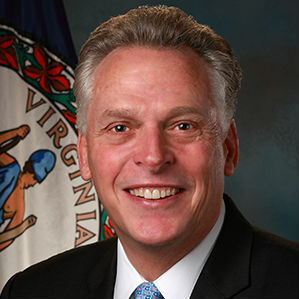 But we can – and should – be doing more,” McAuliffe said. The effort to expand Medicaid now transfers to McAuliffe’s successor, Ralph Northam, who takes office next month. Northam may have a better chance of seeing success in the General Assembly with gains by Democrats in last month’s House of Delegates elections. Democrats had held just 34 of the 100 seats in the House going into the election, but now hold 49, with recounts in three races leaving open the possibility of a 50-50 split or even a small Democratic majority. The push from McAuliffe also has the support of a key healthcare lobby, the Virginia Hospital & Healthcare Association. “Virginia’s hospitals and health systems strongly support accessing available federal funding to improve access to quality, affordable health care coverage throughout the Commonwealth. We believe taking this action is an essential step in addressing the current challenges Virginia faces regarding population health, the opioid epidemic, and behavioral health treatment needs. We urge elected leaders in both parties to come together and agree on a way forward to take advantage of available federal health care funding by recovering Virginia’s tax dollars to benefit the people of the Commonwealth,” VHHA spokesman Julian Walker said.